Patient and Knowledgeable Guitar Teacher for Beginners. Hi. Let me say a little about myself. 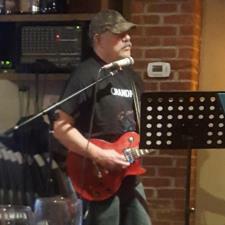 I've been playing guitar since 1965, taught guitar, played in bands and I'm also writing my own music and singing. I specialize in those beginning to play. As you make progress we'll move into theory such as the the major and minor scales used in folk, pop and Blues. I teach Pentatonic and Blues scales as used in rock, blues and much more.